Going through older blog posts (a bit too old, admittedly), the one topic which screamed for a revisit seems to be the one on Sci-fi movies. There have been quite a few good number of such movies in recent years, more than a handful since the last blog 6 years back. Here I pick two of these which I think are a 'must watch'. The most high profile of the sci-fi movies this decade was of course - 'Interstellar'. Coming from Nolan, the stakes for this movie were already sky high (pun not intended). Nolan shooting some of this in IMAX was a huge bonus. I don't think any other film maker has understood and used IMAX to its full potential yet, but Nolan has come closest. The Hong Kong night shot in The Dark Knight, and the opening sequence in The Dark Knight rises were outstanding achievements and made for thoroughly enjoyable movie experiences. Coming back to Interstellar though. The movie again tries answering 'the big questions': mankind's destiny and struggle for survival and the price to be paid for fulfilling that destiny, while weaving the narrative through a father's love for his daughter. The movie got a nod from most theoretical physicists for the accurate depiction of a spinning black hole and other phenomena, and Nolan's dedication to be accurate in this regard was quite evident on screen. The paradox of time travel and influencing past events was beautifully done too, and Nolan's general technical expertise shone through in each frame. Space travel, particularly interstellar travel, is an inescapable reality for the future of mankind. It is, however, given far too less importance and 'Interstellar' drives home the point in spectacular fashion. However, the one sore point where I thought the script made little sense, was the explanation of 'love' being the only quality we can perceive which transcends space and time, and that being the reason Cooper's character could find his daughter in the tesseract. That seemed a bit too far fetched to me, and remains to this day, my only complaint of the movie. 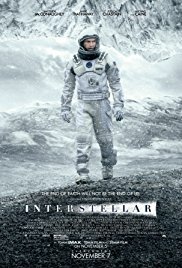 Ignoring this little, and far too convenient, explanation, Interstellar falls behind only '2001' in terms of movies with space travel as a central theme. 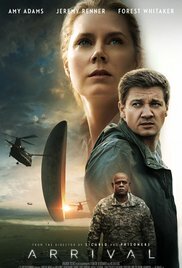 While Interstellar has 2001 as its close companion, Arrival would be a good companion on a movie binge night, to watch after District 9. The theme, again, is not a new one. Movies like Close encounters of the third kind have dealt with alien visits and subsequent communication gaps, but it is in the treatment of a classic 'sci fi' material and its personal relevance to the central character (a linguist, a mother, a wife), that the movie comes alive. I don't think anyone would have been able to do justice to this role like Amy Adams has. The slight, almost un-noticeable tinge of sadness in each of her shots, as she plays with her kid or explains her homework to her, is so well done! This IS her movie right through! The script weaves multiple themes together and still manages to close it with a completely satisfying and thorough explanation. It is no mean feat when the themes in question include the nature and basic constructs of language, the non-linear nature of time, and larger philosophical questions on whether you would change the future if you knew it, or still live through it for the experience and the little joys it will bring you on the way. Another noticeable feature of this movie, and many others in recent years (like Gravity and The Martian, for example), is the happy departure from America being the center of the universe, and the appreciation of the fact that it takes scientific communities from all over the world to collaborate on most global events. While alien visits, space travel, space-time continuum has been well depicted in the movies I discussed, the one sore point I have with sci-fi movies in general is the relatively simplistic depiction of artificial intelligence or AI. Robocop and I, Robot'seem to be best picks here, but surely this bar can go high.